Oma has always suffered from big pores and blackheads. 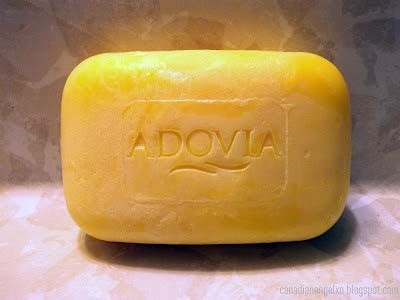 The Adovia Sulfur Soap Bar lathers up nicely, rinsed away easily and left Oma’s skin feeling smooth and clean. 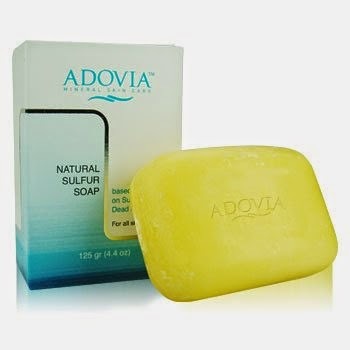 Oma loves the fact that the Adovia Sulfur Soap Bar really has no scent and was very gentle to Oma’s face. 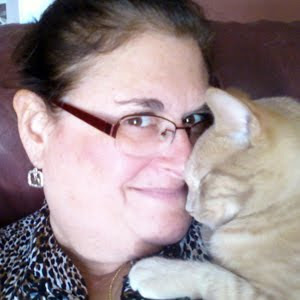 It really appears to be helping lessen the blackheads and shrink the pores. Sulfur has Antiseptic, Anti-Fungal and Antibacterial properties. Directions: Apply daily to face and / or body and rinse. Avoid contact with eyes. 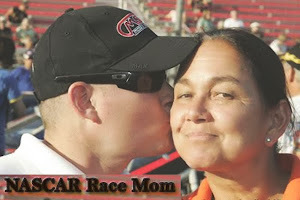 This soap is specific for Acne prone, oily skin and is not recommended for dry or sensitive skin.